Earthquake Report has been created by Armand Vervaeck (Belgium). Earthquake Report has only 1 goal : reporting about earthquakes and volcanoes in the best possible way. Earthquake Report bridges the gap in between science and basic understanding. News in this site will not only appear very quickly, but we will always try to bring "Added Value" and "Scientific/Social Insight" news that you will not find anywhere else. Those looking only for scientific facts can also use the USGS, EMSC and other governmental organizations links given in each story. Earthquake Report focuses on the Impact of Earthquakes and Volcanoes on society. We will search for unique news, even in the most remote places on Earth. Victims of an Earthquake in the jungle of Papua New Guinea merit the same attention as those people living in San Francisco, Tokyo, Port-au-Prince or Concepción. - giving rational unbiased geophysical, seismological, engineering and scientific earthquake details. - working on earthquake preparedness and prevention. SOS Earthquakes was founded in August 2010. A separate website for SOS Earthquakes will be online later. SOS Earthquakes and Earthquake-Report.com are private initiatives to make the world just a little bit better. We welcome every single donated dollar as a lifeline that strengthens our initiative. We welcome also the support of STRATEGIC PARTNERS who will enable us to reach as many people as possible. Strategic partners can be individuals or companies who want to make the world less traumatic, just like we do, or people or companies who require the latest damage, casualty, aid, economic and social data from earthquakes. Earthquake news writer and founder of earthquake-report.com and SOS Earthquakes Non-Profit foundation. Sir General John Monash Scholar (www.monashawards.org) from Australia. Earthquake and volcano damage/loss expert and news writer who has Civil and Structural Engineering, Geology and Geophysics, Earthquake Engineering and Engineering Seismology degrees. 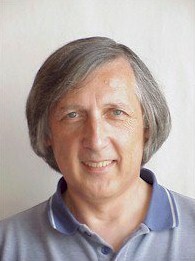 Author of the CATDAT Annual Review of Damaging Earthquakes and Volcanoes. Norwegian-speaking former music marketeer turned geophysicist / volcanologist / geyser gazer / Team Infrasound / Acoustics & Audio Engineering. Janine has a Master's degree in volcanology from her homeland - New Zealand, and is now a PhD candidate at the University of Pittsburgh, USA. Passionate about volcanoes since a very young age, She is interested in all aspects of volcanology and related hazards, especially pyroclastic flows. Her PhD research is using orbital remote sensing data to quantify surface parameters (e.g., morphology, temperature) of dome collapse block and ash flows and Shiveluch volcano, and pyroclastic flows from the Mount St. Helens 1980 eruptions. Jens is a young geoscience student studying at the Ruhruniversität in Bochum, Germany. Jens has choosen this direction after working as a volunteer for earthquake-report.com since many months. Besides looking into the specific seismological data, Jens has a special interest in Geohazards and is a main contributor to the human impact side of earthquakes. That way, he also contributes to the CatDat database of James Daniell (see above). To cope with our worldwide success, Earthquake-Report.com is looking to extend the group of people directly in charge of the earthquake and volcano reporting itself. What has to be written can easily be seen in the existing articles in the website. Explaining earthquake and volcano activity mechanisms so that almost everybody can understand it is one of the main issues of this site. If you are willing to participate as a volunteer in this project, please let us know. We are in a constant need of volunteers for different tasks like scanning a part of the world for earthquake damage, social media support, back up when one or more of the the main contributing volunteers are not available, etc. Don't be shy and let us know if you want to contribute for this website.